SHC moved to recove­r privil­eges given to Mir Hassan Khoso. 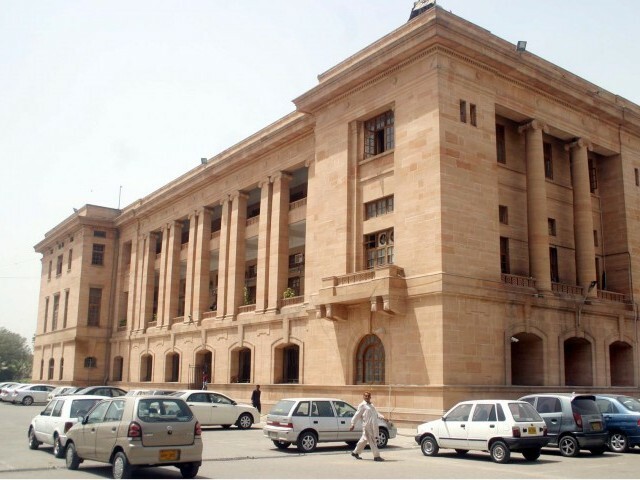 KARACHI: The Sindh High Court (SHC) has issued notices to the Election Commission of Pakistan, the provincial chief secretary, the Sindh Assembly’s secretary and the advocate general on a plea seeking recovery of perks and privileges enjoyed by a legislator, Mir Hassan Khoso, on Monday. The petitioner, Dildar Ahmed, had taken all relevant authorities to court for failing to recover monetary benefits enjoyed by Khoso following his election despite possessing a bogus bachelor’s degree. The petitioner said he was a registered voter in PS-15 Jacobabad, from where Khoso had won the 2008 general elections on the ticket of the Pakistan Peoples Party. Khoso had used a fake BA degree but was allowed to contest. His degree has not been verified by the Higher Education Commission till today, he alleged. In light of the observations made by the Supreme Court in cases related to the candidates’ qualification, Khoso is not sagacious and righteous as provided under article 62(f) of the Representation of Peoples Act 1976. Thus, the Election Commission was required to initiate criminal proceedings against him and recover the funds drawn by Khoso, but it was never done, the petitioner’s lawyer, Haq Nawaz Talpur, claimed. He pleaded the court direct the provincial assembly’s secretary recover these benefits, including the amount of Rs16,420,805 in expenses claimed by the former legislator from the government for his numerous visits to the United Kingom during his tenure. After the preliminary hearing, the bench, headed by Justice Ghulam Sarwar Korai, issued notices for August 13. Ayla was to be fielded as a PTI candidate for by-election from NA-71. MPA Samina Khawar Hayat had contested the 2008 elections with a fake BBA degree. He prayed that the court disqualify Awan by invoking provisions of Articles 62 and 63 of the Constitution.